Get inked! 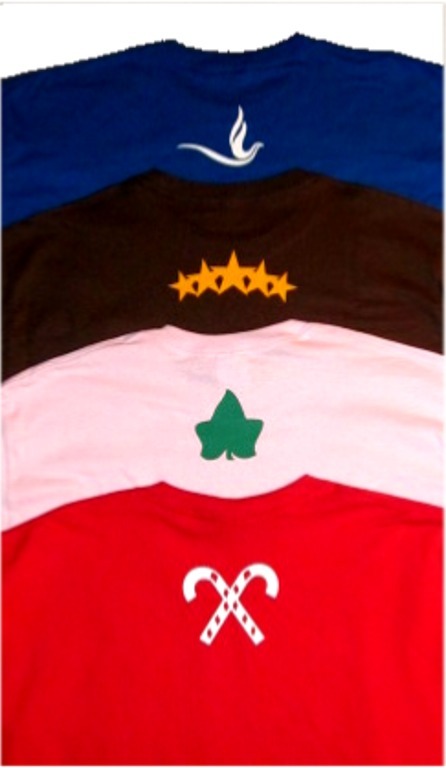 These tees clearly mark you for the frat or sorority you claim! Graffiti 'tags' spell out your group's name on the front and shows off your symbol under the back collar. The standard size design is shown. The full front size is angled, but this larger design is centered over the front of the shirt.